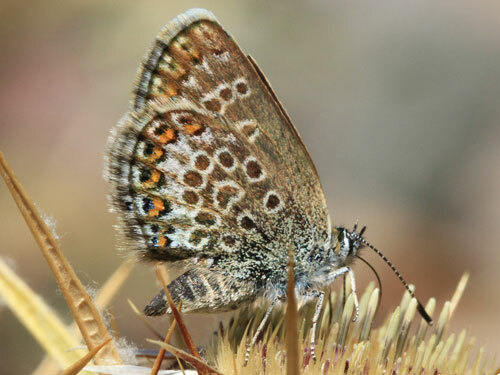 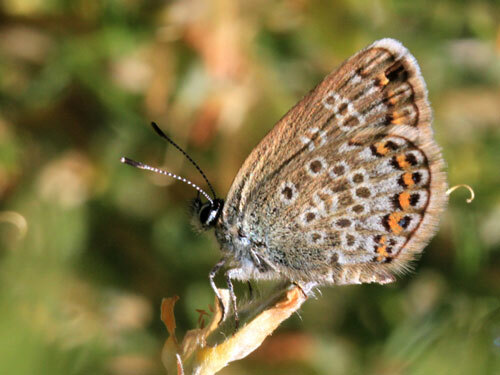 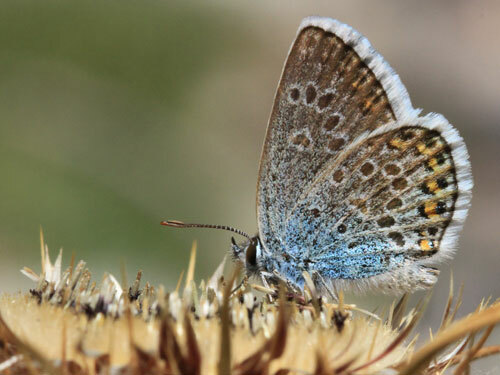 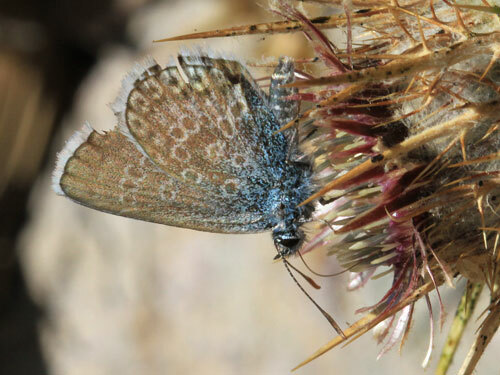 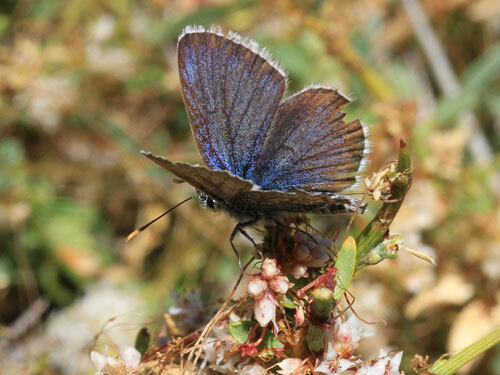 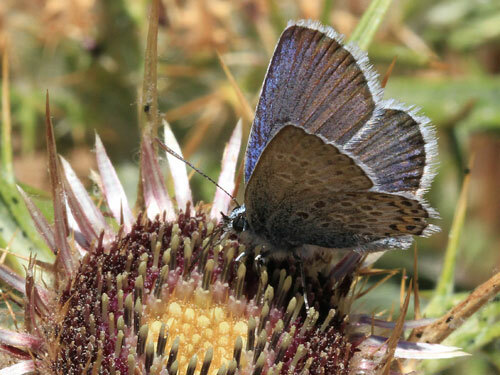 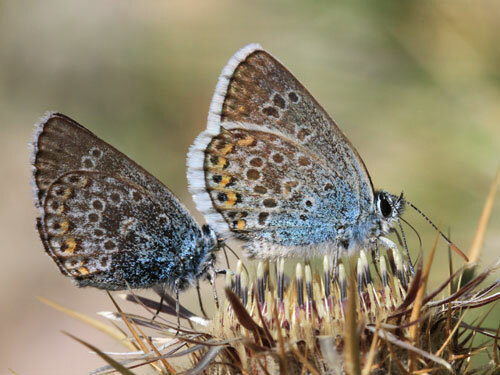 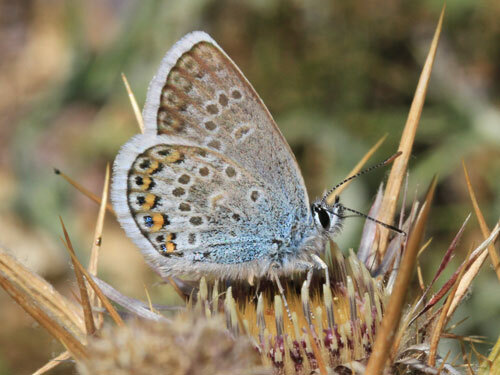 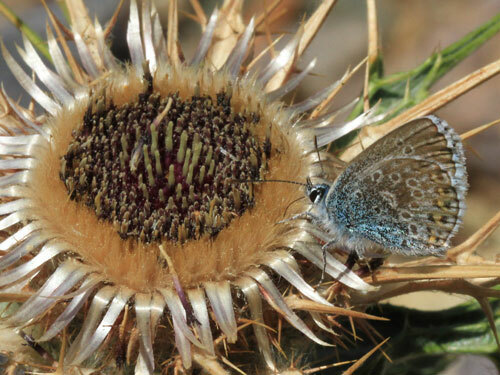 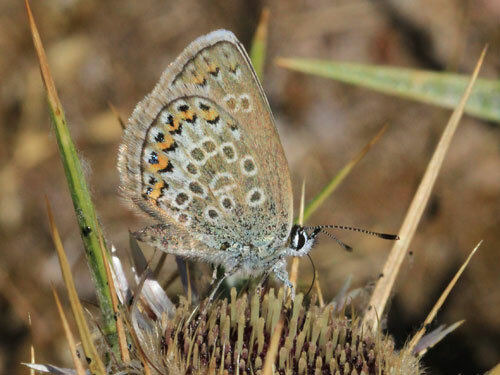 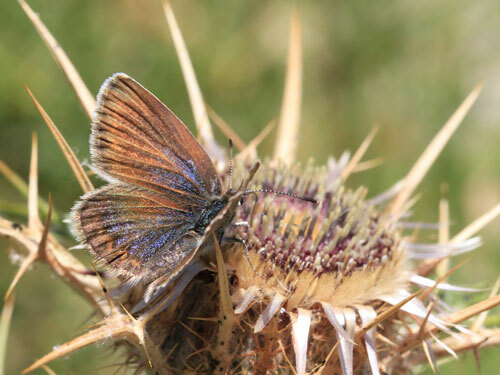 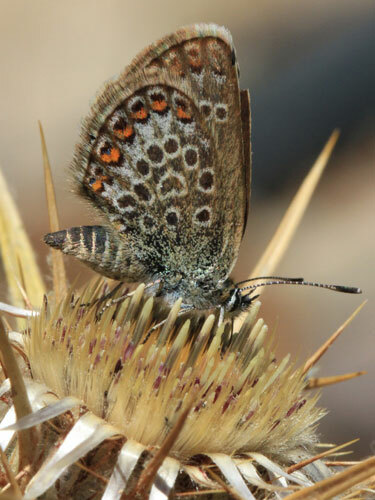 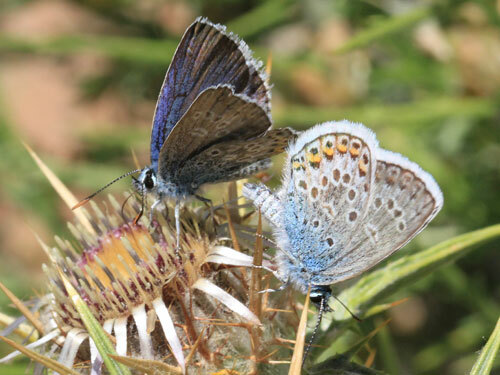 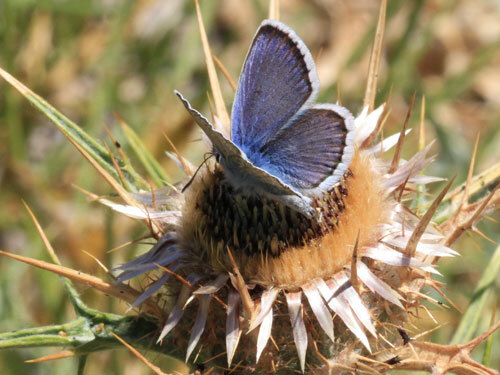 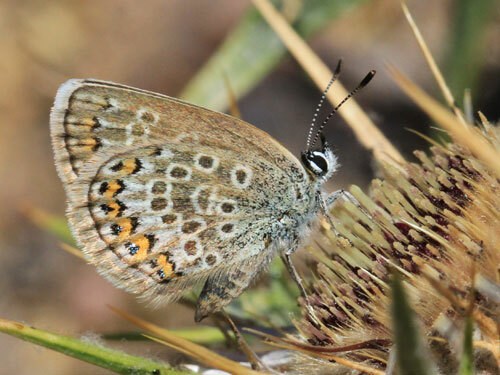 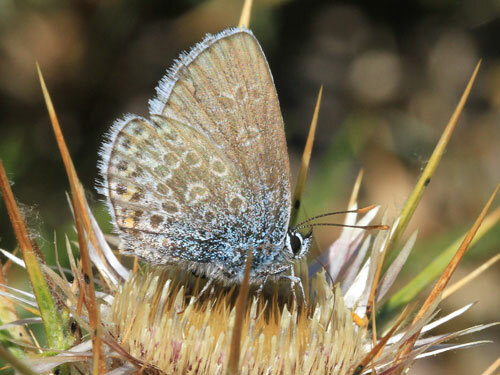 This distinctive subspecies of the silver studded blue P. argus is found only on Corsica. 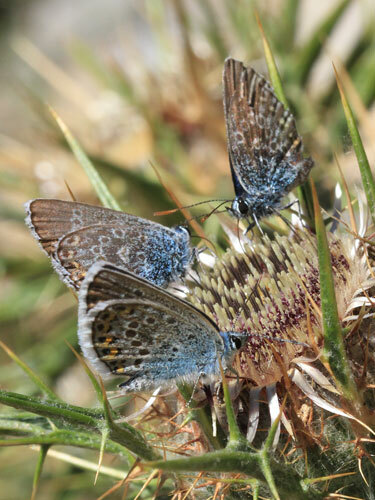 Habitat & Behaviour: In the mountains where sparse and patchy vegetation grows amongst rocks and in open woodland. 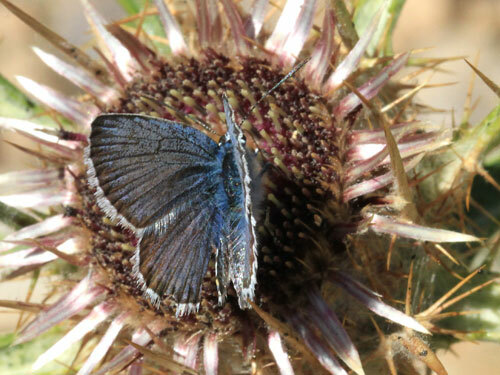 Identification & Similar species: The underside markings have a distinctive washed out appearance which usually allows easy separation from the similar Bellier's blue P. bellieri with which it can fly. 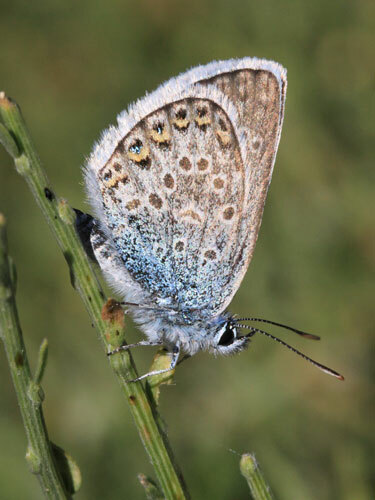 The females have a blue basal patch on the upperside. 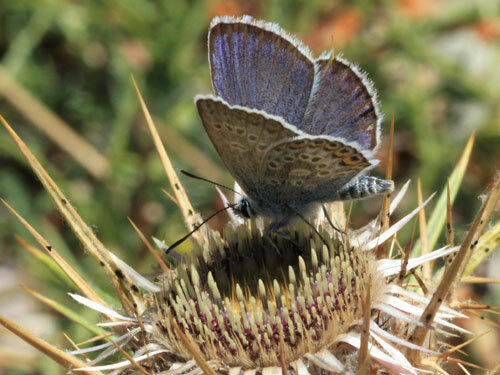 Distribution & Flight: Confined to Corsica at mid altitudes. 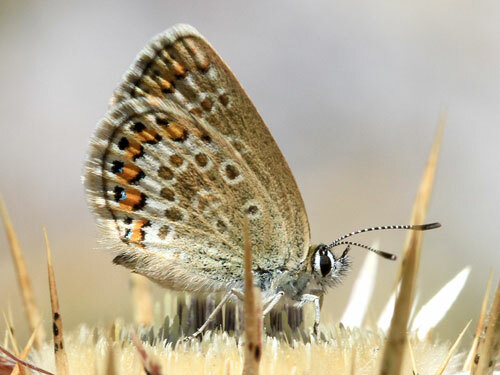 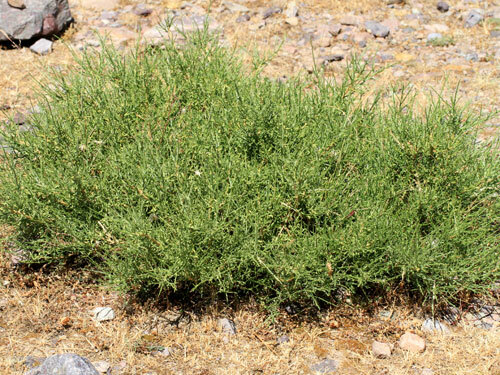 Locally common. 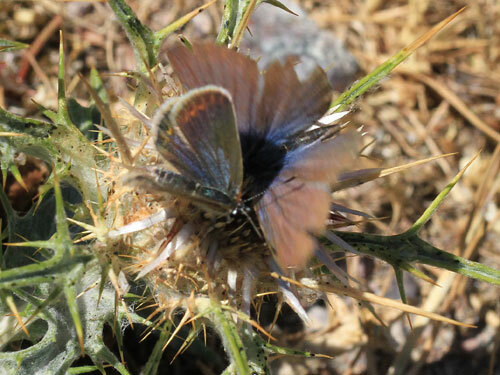 Flies in high summer in July. 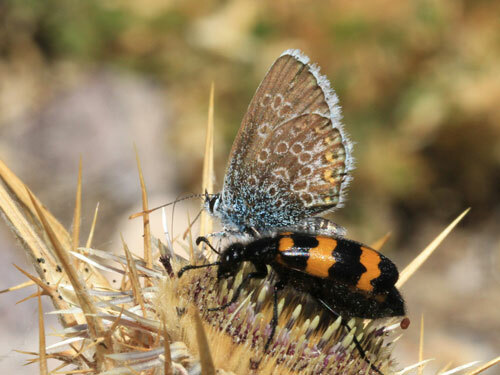 Courtship, the female has the orange border.